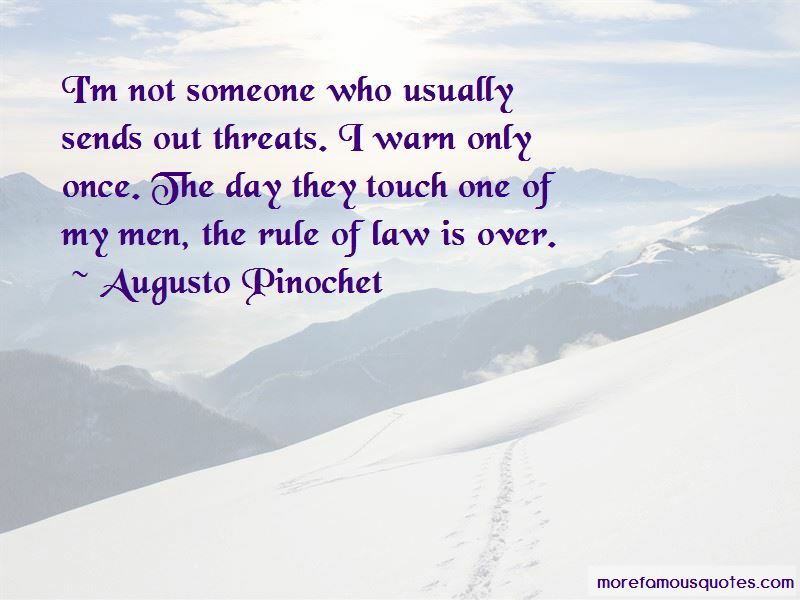 Enjoy the top 27 famous quotes, sayings and quotations by Augusto Pinochet. I have lived with my conscience and my own memories for over quarter of a century since the events of 1973 ... These are not easy reflections for me. But I am at peace with myself, and with the Chilean people, about what happened. I am clear in my mind that the return to Chile of true democracy, and from that the true freedom to which all individual people are entitled, could not have been achieved without the removal of the Marxist government. The nation is trying to make Chile a country of proprietors, not of proletarians. My library is filled with UN condemnations. We have no political prisons. We have political internal exiles. 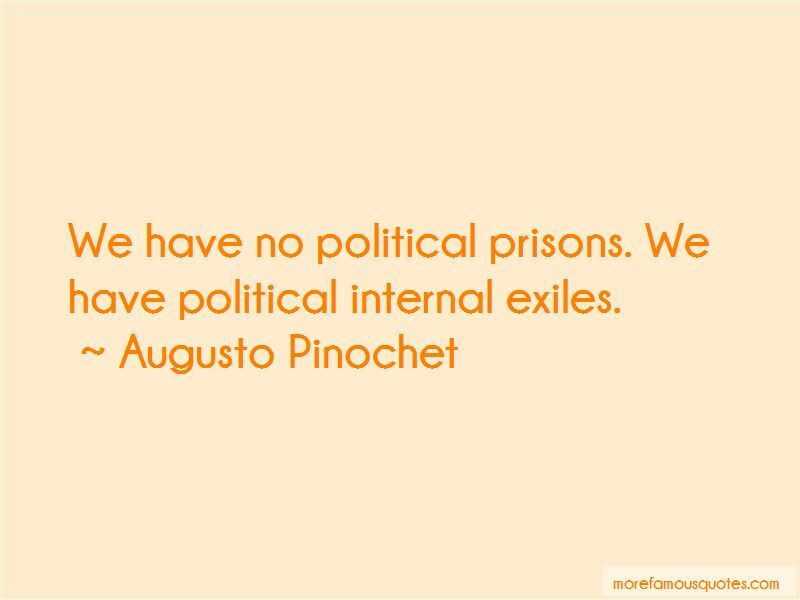 Want to see more pictures of Augusto Pinochet quotes? 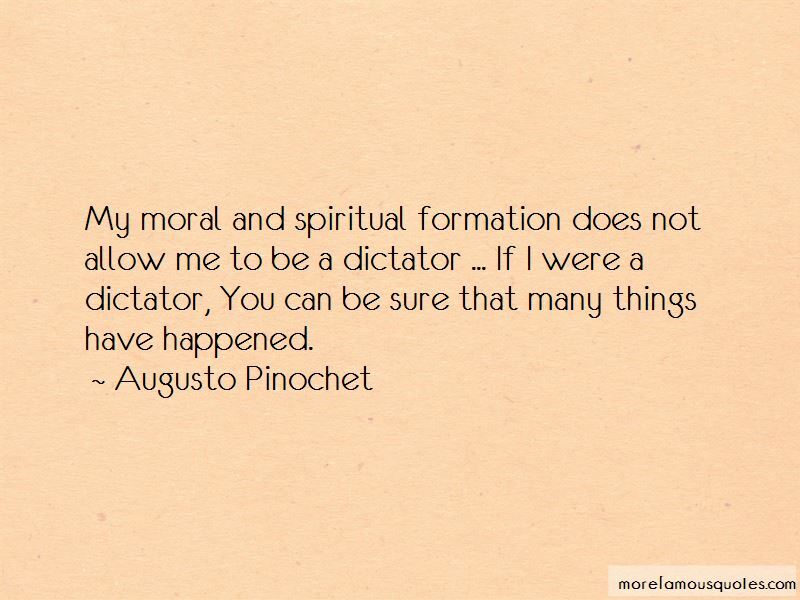 Click on image of Augusto Pinochet quotes to view full size.